Our transportation infrastructure is a national disgrace. We are the richest country in the world and yet we fail to upgrade, or even maintain, the vital paths of commerce. The main reason is that our states and cities, which are primarily responsible for infrastructure projects, are saddled with ever-growing welfare and employment obligations and excessive debt. We must find a way to supplement transportation infrastructure funding. President Obama, as he has every time an important election nears, is attempting to promote a plan for HUD funding of infrastructure spending. Why should Congress approve the president’s request for funding? A large portion of previously approved infrastructure funding has not been used by the Obama administration for shovel ready projects, but to promote Democrat candidates and to reward friends. Republican Congressmen don’t trust or like President Obama who disregards Congress and abuses Republicans at every opportunity. They are unlikely to approve the funding he seeks. 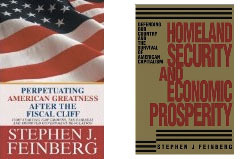 This writer in his book entitled “Perpetuating American Greatness After The Fiscal Cliff”, published in March 2013, has proposed changes in the corporate income tax laws to encourage the creation of “Jump Start America Bonds”. Such bonds would be sold offshore by states and their transportation agencies to our international corporations to finance transportation infrastructure construction projects. Jump Start America Bonds would have properties to make them a win, win, win for the investing corporations, the states and the federal government. The corporations would receive a fair return and be protected against loss of principal resulting from default or interest rate risk. They would also be able to repatriate the funds over a term of years at favorable tax rates. The states would get transportation infrastructure construction funding on reasonable terms. The federal government would collect outstanding taxes on overseas profits at reduced rates and would benefit from dynamic economic growth leading to middle class job creation and increased income tax revenues. See my previous article on this blog entitled “Jump Start America Bonds Represent the Perfect Economic Stimulus”. This entry was posted in corporate income tax, economic stimulus, economics, fiscal cliff, government stimulus, income tax, interest rates, IRS, jobs, macroeconomics, middle class, transportation infrastructure, Uncategorized on May 18, 2014 by sjfeconomics. A federal government shutdown for a few days will do little damage to the US economy, but will inconvenience and scare many Americans. Democrants want the shutdown to enhance their chances of gaining control of the House in the 2014 elections. They are goading Republicans into a fight over the funding of Obamacare to give President Obama the opportunity to claim Republicans have forced a shutdown. Polls show that any shutdown will cause great political harm to Republicans who are being wrongfully attacked by President Obama as extortionists. Regardless of whether it was adopted based on false promises, Obamacare is the law of the land. Like it or not, many of its provisions will become operative on October 1, with, or without, US government funding. It is irrelevant that Obamacare is a new welfare program that is causing great damage to our economy. The poor and low-income people it is designed to help will line up to enroll for the free or highly subsidized insurance policies, with no pre-existing conditions. President Obama has committed to spend billions of marketing dollars to convince Americans that they will love Obamacare in a few years after we make some corrections and to get young people to purchase policies. Republicans, led by Senators Cruz and Lee, are publicizing many of the negative aspects of Obamacare. They should continue to make their case before the Senate over the next few days. However, it is inevitable that the Senate bill will be passed without the provision to de-fund Obamacare. When it returns to the House, Republicans should permit the Democrats to prevail. The best that Republicans can accomplish is to get an agreement for the appointment of a joint Congressional committee to consider the modification or repeal of Obamacare. Any attempt to de-fund or delay the effectiveness of Obamacare merely runs time off the clock before the potential government shutdown. Republicans will have an opportunity to expose the terrible consequences of Obamacare, including the harm to the middle-class, in the 2014 Congressional campaigns. (unless passed on as increased healthcare costs that will add to the burden being placed on the middle-class) will confiscate the cash needed to support research and development efforts that have placed the US in the forefront of life saving and enhancing equipment and medications. Some of the manufacturers will become unprofitable or will be unable to raise capital, and go out of business. It puts the IRS in control of major healthcare decisions. Based on recent experience this assures that healthcare subsidies and availability will become politicized and allocated unfairly. It is so complex that years after its adoption our governments are not prepared for it to become effective. Why does President Obama like it? It gives the government greater control of our lives and takes from businesses and individuals who have and gives to those who have not. It adds to his base of people who benefit from handouts. It is unlikely that President Obama and his liberal cronies realized, when it was adopted, how much damage it would do to the economy and the middle-class. As the problems have surfaced, he has made changes in the law and granted waivers without Congressional approval. He talks of further adjustments in the law to work out the kinks. He may not have yet realized that Obamacare is so conceptually flawed that it is irreparable and should be repealed so that we can go back to a free market solution. Of course that would require taking away or reducing the new welfare benefit. Why should the poor expect to get the same or better healthcare benefits for free than will be available for middle-class people who work to earn the insurance or who may lose their benefits or have to pay for them? Why should we harm business and eliminate or prevent the creation of middle-class jobs, to create another welfare benefit, while the economy remains in a weakened state? With all the hull-a ballo over Obamacare and the potential government shutdown, it has gone virtually un-noticed that the disastrous Sequester cuts are retained in the proposed government funding proposal. President Obama and the liberal financial press have been effective in misleading voters into thinking that the economy is improving because unemployment is falling and the federal deficit is shrinking. They disregard the large number of people who have left the work-force, the great increase in the number of part-time jobs (largely as the result of Obamacare), the reduced government spending as a result of the Sequester and the increased revenues from the 2013 tax increases. As a result, and because he refuses to discuss un-funded long-term entitlement (largely Medicare) liabilities, he is in no position to be insisting on necessary increases in defense and infrastructure construction spending to stimulate the economy, provide homeland security and create full-time, tax-paying jobs. The Obamacare mess makes it highly unlikely that our economy will grow satisfactorily during the remainder of the Obama term. This entry was posted in economic stimulus, economics, entitlements, federal deficit, government shutdown, government stimulus, Great Recession, income tax, IRS, IRS scandals, jobs, macroeconomics, medicaid, medicare, middle class, National Debt, Obamacare, transportation infrastructure, Uncategorized, unemployment, welfare on September 24, 2013 by sjfeconomics. Obamacare is an extremely complex, highly flawed, law that was designed by President Obama’s appointees and Democratic liberals. They claimed that by controlling costs, taxing the rich and healthcare product suppliers, and forcing everyone to have coverage, we could afford to offer healthcare insurance to everyone, including 30 million people previously uninsured, and despite eliminating consideration of pre-existing conditions, without increasing premiums. They knew that middle class Americans would object to Obamacare if they were forced to pay to subsidize the poor or those with pre-existing conditions. They concocted a scenario designed to mislead the public into thinking that everyone would be better off after the passage of Obamacare. * If you were on Medicare you could keep your relationship with your own doctor and continue to receive the medical care which your doctor recommended. Providing coverage for everyone including those with pre-existing conditions sounded like a good idea to most people. The poor liked it because they were not going to have to pay for the insurance coverage that would supplement their Medicaid and hospital emergency room benefits they were already getting without having to pay. Most working people with tax-paying jobs believed President Obama when he promised them it wasn’t going to cost them anything. Hospitals liked it because they would be paid by the insurance companies for the emergency room treatment of the poor instead of having to pass on emergency room losses to others. The most likely reason that unions supported Obamacare is they didn’t understand the consequences and support almost everything the Democrats and President Obama propose. They have recently awakened and voiced objections to Obamacare. How could they have expected Obamacare to be revenue positive without increasing everyone’s insurance policy cost, if they were generously going to provide healthcare insurance coverage to 30 million additional people and ignore pre-existing conditions? The true insurance cost of providing healthcare to individuals under age 65 with pre-existing conditions varies in each case, but can be 50 or 100 times more expensive than providing coverage for people without pre-existing conditions. Democrats and President Obama claimed it would be cost positive by (i) adopting new sales taxes to be paid by medical equipment manufacturers and drug companies (ii) adding a new tax (which unfairly taxed families) of up to 3.8% of income on taxpayers President Obama called rich, but who were really middle class and above in most large cities, (iii) requiring businesses with 50 or more full-time employees (those working more than 30 hours per week) to provide qualifying insurance, (iv) requiring everyone, who does not otherwise have insurance, to purchase insurance, including young people, who will be required to pay an excessive price for their age, or pay a penalty, and (v) reducing Medicare benefits by $700 billion (which Democrats defended by claiming it was a Republican idea). Moreover, in an outrageously fraudulent attempt to make Obamacare appear to be cost-effective, they included a provision offering long-term care insurance that they claimed would be highly profitable in the first ten years. In doing so they were ignoring a standard insurance business requirement that they establish reserves from the premiums collected for the very large claims expected in later years as some of the insured became incapacitated. After the fraudulent claim of the long-term care profitability was exposed, the long-term care provisions were repealed, before any policies were sold, but after Obamacare was passed. The ten-year cost of Obamacare has since been recalculated numerous times by the Congressional Budget Office and has gone from a profit to a loss that will exceed $2 trillion. Even that amount may prove to be much too low. Taxpayers have begun to realize they were being misled and they or their employer will have to pay much more for their insurance coverage in most states to subsidize the poor and those with pre-existing conditions. One group after another has been requesting relief from the onerous provisions of Obamacare. As was predictable, requiring employers with 50 or more full-time employees to provide insurance coverage is causing disastrous consequences. Some employers will be forced to close their doors. Other employers are laying off full-time employees and hiring part-time employees to avoid Obamacare. The middle class which has been decimated by the Great Recession are losing good tax-paying jobs with healthcare benefits as employers seek to avoid the cost of providing the healthcare coverage required by Obamacare. President Obama recently, without fanfare, on a Friday afternoon, postponed the effective date of the employer mandate until 2015 so as not to effect his attempts to get control of the House of Representatives at the mid-term elections. It is questionable as to whether he had the legal right to change a law passed by Congress. If successful in getting control of the House, he will probably repeal the employer mandate and leave Obamacare with a large revenue shortfall. Although the business insurance mandate has been postponed for a year until January 2015, businessmen will continue to plan ahead. Millions of individuals forced to accept 30 hours per week jobs will become eligible for welfare benefits. Obamacare has stirred the pot. Businesses faced with rising insurance costs have studied the law and will weigh their options. Some, particularly those whose employees will qualify for substantial premium subsidies if they purchase their own insurance, will prefer to offer their employees a raise and pay a $2000 per employee penalty. Other businesses, that currently provide healthcare coverage, will be able to eliminate healthcare benefits for part-time employees since most of them will qualify for 100% or substantial subsidies if they purchase their own insurance. Unless the employer mandate is modified or repealed many businesses will keep their head-count of full-time employees below 50 to avoid the purchase of insurance or paying the penalty. Such actions, coupled with young people electing to pay the small penalty rather than overpay for insurance they don’t need, is going to cause revenues to be received by insurance companies to cover low risk beneficiaries to be much less than anticipated. The penalties are payable to the US Treasury and not the insurance companies. They will be left with a higher risk group that purchases insurance and will have to raise their rates. Although attempts are being made (including the planned spending of hundreds of millions of dollars) to trick healthy young people to overpay for insurance, it does not make economic sense for them to do so. To reduce the cost of purchasing insurance there are little known co-pays and deductibles if you buy insurance. For example. CA’s insurance exchange silver-level coverage requires a $45 co-payment for each office visit, $250 co-payment for each emergency room visit, and has a $2000 annual deductible. The cheapest plan has a $5000 deductible. Those who receive highly or fully subsidized policies will go to the emergency rooms, as in the past, and claim they are unable to pay the co-pay or deductible. Many young people, who have jobs, will pay the small penalty (which will increase over a three-year period, but probably not enough to change one’s decision) and get by without coverage. The can buy the insurance when they need it without fear of a pre-existing condition. Many of these young people are saddled with college loans and unable to get good jobs. President Obama is travelling the country trying to convince them that if Obamacare succeeds they will be better off in the long run. His problem is that he is promoting a law which contains unfair and unsound financial provisions. He will try to convince young people that they will be violating the law if they fail to purchase insurance, but the pre-determined penalty makes it look more like an option. Even the formulas for determining the portion of one’s premium that will be subsidized are carelessly drafted and highly flawed. Like all Obama tax proposals, the subsidies are calculated in a manner which is extremely unfair to families and the middle class. A married couple may pay thousands of dollars more for insurance than if they were unmarried and living together. Obamacare provides reduced subsidies as individual or family income rises. As expected, the poor get a free ride. The subsidies phase out at family income levels around $90,000. The middle class must bear the brunt of the increased premiums of Obamacare insurance so that the poor and those with pre-existing conditions can be subsidized. One commentator points out that, in calculating the subsidy under one exchange’s formula, there is even a point in the subsidy formula, where, if your family income goes up by $1000, your annual insurance cost goes up by more than $8000. You have to refuse a raise or a bonus or your net take home pay will decline. We cannot be certain of the extent that Obamacare has contributed to President Obama’s failed fiscal policies which have encouraged the Fed to extend QE. Obamacare by inducing the reduced hiring of full-time employees and the hiring of more part-time employees is creating an illusion of job creation. Despite the increase in part-time jobs and reduced participation rate during recent quarters, the top line rate of unemployment has remained around 7.5%. U6, a better measure of unemployment, paints a much worse picture, showing a 14% level of unemployment. We have more than 2 million less full-time jobs than in 2008. Not enough middle class jobs are being created. Nevertheless, we hear repeatedly from the financial press and Obama supporters of the jobs created by the Obama stimulus programs (which created few good jobs, if any) and the reduced rate of unemployment. They cheer the reduced top-line unemployment number each month. There is nothing to cheer about. Full-time employment has stagnated. The middle class is suffering. Before Obamacare, most large businesses provided health insurance coverage for their employees. If the cost of insurance coverage increases as a result of the requirement that pre-existing conditions be ignored, or if the economy stagnates and profits decline, expect some businesses to begin to eliminate health insurance coverage and to pay the Obamacare penalty. Employees might be given a raise to cover their individual purchase of insurance, but the after tax benefit of such raise may cover only a fraction of the cost of purchasing an individual or family policy. Of course since pre-existing conditions will not pose a risk, the employees may elect to go without coverage and pay the individual penalty. As a result the poor, who had no coverage before Obamacare will have coverage, and many working people, who had coverage, will wind up paying a penalty and having no coverage. Some of them will purchase annual healthcare plans, with limited coverage, being put forth by groups of physicians. This will give them access to a family doctor who can advise them and treat most of their problems. If a family member develops a serious illness, that is not covered by the plan, they can then purchase a policy which qualifies under Obamacare. The excess of middle class workers take home pay over that of welfare recipients who work part-time and collect negative income taxes was being reduced prior to the adoption of Obamacare. Since President Obama was elected there has been an unprecedented increase in the number of Americans receiving food stamps and other types of welfare payments. This has resulted in large part from the effects of the Great Recession that resulted in the loss of millions of good tax-paying jobs and from politically motivated federal government efforts to encourage people to seek benefits. There are a growing number of individuals who have decided that receiving a broad range of welfare benefits supplemented by the income from a part-time or low-paying job that is increased by the negative income tax, will give them a better quality of life than if they found and accepted a tax-paying job and lost their eligibility for welfare benefits. Almost 73% of black children are born out-of-wedlock. In many cases the father sneaks in and out of the home so that they can collect maximum welfare benefits. There has also been a large increase in the number of people on disability many of whom would work if they could find a good job. Obamacare is going to greatly reduce the incentive for young people to stay in school or to seek full-time tax-paying jobs. It is going to encourage settling for part-time employment and seeking ways to maximize welfare benefits. Teenagers will be further encouraged to have out-of-wedlock babies, and the inner city education and crime problems will be exacerbated. Young people of all races, growing up in inner city areas across the country, will, with the exception of the scholarship student, athlete or performer, have little incentive for self improvement or to seek a good tax-paying job with an opportunity for advancement. They will choose to settle for lives in a ghetto with minimum comforts and little self-esteem. They will vote for candidates who promise to give them greater welfare benefits. Obamacare is accelerating the conversion of American capitalism into a terrible form of socialism. We should question whether this is the type of America we want or whether American capitalism will be sustainable. Liberals refuse to acknowledge that Obamacare is fatally flawed and currently unaffordable because of the current weakness in our economy. They argue that the problems that Obamacare is facing are caused by Republicans who want Obamacare to fail. They argue that conservatives predicted doom and gloom for Medicare when it was adopted and now almost everyone likes it. They ignore Medicare’s unfunded liabilities. They argue that when Obamacare is fully in force it will accomplish its objectives. However, Obamacare is not funded like Medicare is. Medicare is funded by a payroll tax paid by all working people prior to retirement and an annual supplemental payment for the coverage after reaching age 65. Unless you become disabled, you must work and pay taxes for years before you get benefits. Obamacare is funded by a variety of new taxes (a portion of which will be passed on to consumers) and the mandatory purchase of insurance coverage by corporations and individuals. Obamacare is in large part a welfare benefit for the sick and the poor to be paid for, in large part, by middle class working people. There is talk about means testing Medicare. This means that those considered rich, who pay the most in Medicare withholding taxes and the new Obamacare tax based on income, will lose some or all of their benefits. Their payments will effectively become additional income tax payments. We are the world’s richest nation and have the best healthcare system. We can afford to and should provide a reasonable level of healthcare to all of our citizens, regardless of their ability to pay. Every child needs pre-natal care, required preventive shots and antibiotics from time-to-time. We can afford to treat those who acquire leukemia and can cure or ameliorate most children’s cancers and many other inherited or acquired diseases. Prior to Obamacare we were doing all these things under existing insurance coverages and without cost to those who did not have insurance and couldn’t afford to pay. We needed to control costs (particularly, those at health insurance companies) and were working on it. A significant portion of family care can be provided more cost effectively at a clinic by a technician or nurse. We cannot afford to give each person every high cost heart, liver, kidney, bone, retina, hip, knee or shoulder transplant or replacement they want, without a charge, whether or not they have insurance. We must have life-time limits, co-pays or deductibles for these expensive procedures. Since most of these procedures are needed by people after reaching age 65, they were creating Medicare cost problems as our population aged and new expensive procedures became available before Obamacare was introduced. We needed to bring aggregate Medicare costs under control. Obamacare’s expanded healthcare benefits, that are provided for free for the poor under Medicaid, are exacerbating the problem of affordability. Even though one has contributed to the cost of obtaining Medicare benefits in the form of withholding taxes for years and pays to purchase Medicare coverage, the benefits to be received by Medicaid beneficiaries, who will pay nothing, may be the same. This makes no economic sense. Either the Medicare benefits, or the payments to healthcare providers will be reduced or someone is going to have to pay for our generosity. The onerous reporting provisions and limited fees payable by Medicare and Medicaid under Obamacare, when added to excessive malpractice costs, are driving doctors out of private practice and reducing the availability and quality of care. The IRS, which is under investigation for unfairly targeting conservative groups for political purposes, is going to decide what healthcare benefits and premium subsidies you will be eligible for under Obamacare. They will be acting as death panels when determining who is eligible for and in what order a patient receives a transplant or treatment. Because President Obama has politicized the IRS, people paying for insurance may find that they receive lesser benefits than others whose vote is being sought or rewarded. We have heard it before. To the victor will belong the spoils. Health insurance companies are required by Obamacare to offer benefits through qualifying policies. In an attempt to keep premium costs down our governments may use their insurance exchanges being established under Obamacare to undercut price. If insurance companies are driven out of business by Obamacare, we may end up with a one party payor system run by our inefficient federal and state governments that can be expected to further squeeze healthcare providers and reduce or delay service to limit the cost of providing coverage. This entry was posted in economic stimulus, economics, entitlements, federal deficit, food stamps, government stimulus, health care, income tax, IRS, IRS scandals, jobs, macroeconomics, medicaid, medicare, middle class, National Debt, Obamacare, socialism, Uncategorized, unemployment, welfare on July 7, 2013 by sjfeconomics. The criminal targeting of conservative organizations and their members and contributors by the IRS is an outrageous abuse of power for political gain. The crimes have been compounded by permitting the practices to continue for years after they were exposed. The Obama Administration, although acknowledging that a wrong has been committed, has permitted a cover-up of the wrongdoings and made no attempt to punish the wrongdoers. New scandals relating to IRS spending irregularities are being exposed on a weekly basis. They are causing a rapid decline in President Obama’s approval rating. The actions of the IRS have raised serious concerns as to whether its role in the administration of Obamacare will also be politicized and result in wasteful spending. Part-time and low-income jobs have enabled Obama supporters to claim that unemployment is declining, but the long-term unemployed and college graduates are not finding an adequate number of good tax-paying job opportunities. The healthcare turmoil and uncertainty being caused by pending Obamacare requirements has discouraged both the offering of good tax-paying jobs and the making of capital investments by large and small businesses. The IRS scandals, together with the Benghazi, journalism and NSA scandals, are proving to be a distraction preventing the stimulus spending necessary to generate infrastructure construction projects needed to create middle class, tax-paying jobs. This entry was posted in economic stimulus, economics, entitlements, federal estate tax, government stimulus, health care, income tax, IRS, IRS scandals, jobs, macroeconomics, medicaid, medicare, middle class, National Debt, Obamacare, transportation infrastructure, Uncategorized, unemployment and tagged capital investments, college graduates, infrastructure construction, transportation infrastructure on June 30, 2013 by sjfeconomics.